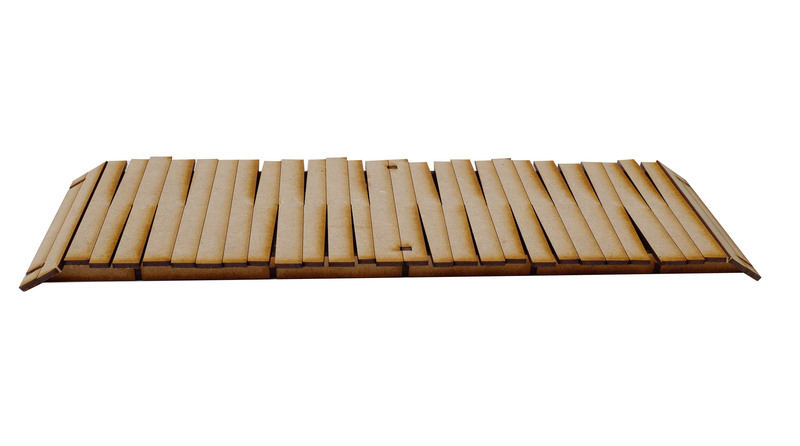 This flat timber bridge is a very useful multi-period and multi-function bridge that can be used in a whole variety of situations. It is made to represent a simple slatted timber bridge. The end slats are set as angles to produce a ramp effect. The bridge is 284mm long x 86mm wide and 12mm high. This bridge comes in kit form and will need glueing with PVA and painting.